G – reen - Rockwool G.I.F.T.S. 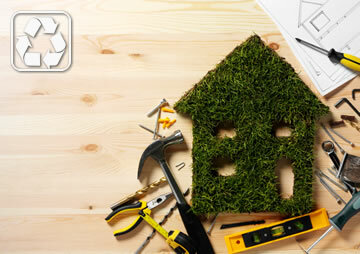 All the products manufactured by American Rockwool exceed the 60% level of recycled or sustainable products. This greater than 60% recycled/sustainable is pre-consumer and 0% post consumer. An attribute that American Rockwool provide's is sound attenuation. Our sound attenuation products absorb sound passing between partitions walls and floor/ceiling applications and are capable of providing sound transmission coefficient (STC) ratings that improve the indoor environmental quality for the occupants of the building. American Rockwool insulation products not only reduce energy use and therefore CO2 emissions, but in addition, also provides thermal comfort. American Rockwool has taken great strides in reducing negative impact on the environment that comes from the mining and harvesting of raw materials. Over the years the availability of low cost by-products with similar chemical makeup as mined rock have been made available. Now the majority of raw materials used to manufacture our products come from a by-products of the steel industry called slag. American Rockwool does not use raw materials that are considered finite, rare or endangered. In horticultural applications, our products can be used as a growing medium for plants. Our products can also be safely amended back into the ground with no negative impact to the soil.